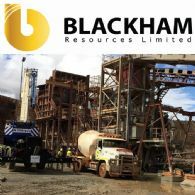 Blackham Resources Limited (ASX:BLK) (OTCMKTS:BKHRF) provides an update on the Company&apos;s fully underwritten, renounceable pro-rata entitlement offer that closed on 8 April 2019. 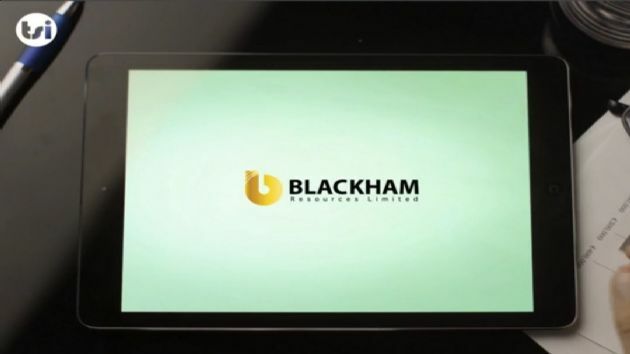 Blackham Resources Limited (ASX:BLK) (OTCMKTS:BKHRF) advises that the Company&apos;s fully underwritten, renounceable pro-rata entitlement offer closed on 8 April 2019. Blackham Resources Limited (ASX:BLK) (OTCMKTS:BKHRF) and Salt Lake Potash Limited (ASX:SO4) have executed a binding Split Commodity Agreement for the development of a Sulphate of Potash operation based at Lake Way, near Wiluna on the terms announced by SO4 on 12 March 2018. 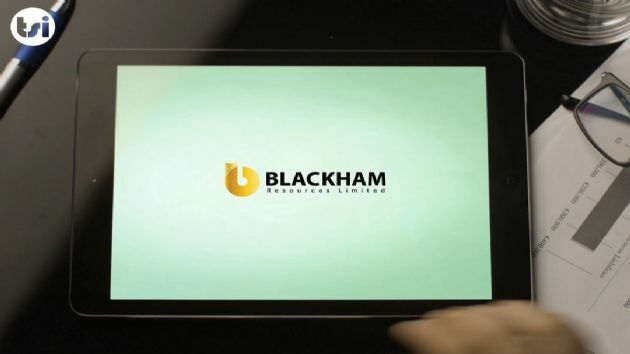 Blackham Resources Limited (ASX:BLK) (OTCMKTS:BKHRF) announces that it is offering eligible shareholders the opportunity to participate in a fully underwritten pro-rata renounceable entitlements issue of five (5) new fully paid ordinary shares in the Company for every four (4) shares held on the Record Date. Blackham Resources Limited (ASX:BLK) (OTCMKTS:BKHRF) is pleased to provide an update of drilling results from the high-grade free milling Golden Age North orebody, closely located to Blackham&apos;s 1.8Mtpa Wiluna Gold Plant. Blackham Resources Ltd (ASX:BLK) (OTCMKTS:BKHRF) provides the update on its activities for the quarter ended 31 December 2018 and thereafter. 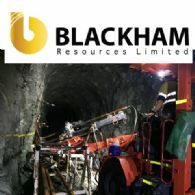 Blackham Resources Limited (ASX:BLK) (FRA:NZ3) (OTCMKTS:BKHRF) (Blackham or the Company) is pleased to provide an update of underground drill results from the high grade free milling Golden Age Lower orebody which has confirmed the extension of mineralisation below current mining areas. Blackham Resources Limited (ASX:BLK) (OTCMKTS:BKHRF) is pleased to advise it has executed a binding Heads of Agreement with the GWR Group Limited (ASX:GWR) with respect to the Wiluna West Gold Project. GWR&apos;s gold project lies approximately 40km west by road of Blackham&apos;s treatment plant. The Wiluna West Gold Project has defined free milling gold resources with a combined inventory of 254,000 ounces. Blackham Resources Ltd (ASX:BLK) (OTCMKTS:BKHRF) provides the Company&apos;s latest Investor Presentation. Blackham Resources Ltd (ASX:BLK) (OTCMKTS:BKHRF) is pleased to announce an increased Ore Reserve estimate for the Matilda-Wiluna Operation of 26Mt @1.8g/t for 1.53Moz of gold as at 30 June 2018. Blackham Resources Ltd (ASX:BLK) (OTCMKTS:BKHRF) provides the following update on its activities for the quarter ended 30 September 2018 and thereafter. Blackham Resources Limited (ASX:BLK) (OTCMKTS:BKHRF) is pleased to advise it has commenced open pit mining at Wiluna of its recently defined free milling ore. It has been 10 years since open pit mining last took place at the Wiluna Mine. Blackham Resources Ltd (ASX:BLK) (OTCMKTS:BKHRF) provides the Company&apos;s Annual Report to shareholders. 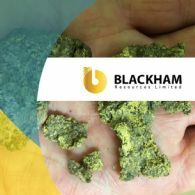 Blackham Resources Limited (ASX:BLK) (OTCMKTS:BKHRF) reports its financial results for the financial year ended 30 June 2018. Blackham Resources Limited (ASX:BLK) (OTCMKTS:BKHRF) is pleased to announce that it has executed an agreement with an entity managed by The Lind Partners, a New York based institutional fund manager, for an investment of up to A$23 million in total capital. The initial funding commitment will be provided within seven business days. Blackham Resources Limited (ASX:BLK) (OTCMKTS:BKHRF) is pleased to confirm that mining will recommence at Wiluna in September 2018. Additionally, final results are available from the latest Wiluna free-milling resource extension drill programme. Blackham Resources Ltd (ASX:BLK) (OTCMKTS:BKHRF) is pleased to provide a revised Mineral Resource estimate for the Matilda-Wiluna Operation of 96Mt @ 2.2g/t for 6.7Moz of gold, which includes Indicated Resources of 69Mt @ 1.7/t for 3.88Moz. Mineral Reserve calculation is currently underway and will be reported in the near future. Blackham Resources Limited (ASX:BLK) (OTCMKTS:BKHRF) is pleased to present exploration drilling results from the free-milling Lake Way deposits, located 18km south of Blackham&apos;s Wiluna gold plant. Blackham Resources Ltd (ASX:BLK) (OTCMKTS:BKHRF) provides the Company&apos;s Diggers and Dealers Presentation 2018. Blackham Resources Limited (ASX:BLK) (OTCMKTS:BKHRF) announces the resignation of Mr Greg Miles as a Non-Executive Director and the appointment of Mr Geoff Jones as a Non-Executive Director of the Company, as Blackham prepares for the next phase of its evolution. Blackham Resources Ltd (ASX:BLK) (OTCMKTS:BKHRF) provides the following update on its activities for the quarter ended 30 June 2018 and thereafter. Blackham Resources Limited (ASX:BLK) (OTCMKTS:BKHRF) is pleased to provide an initial Mineral Resource estimate for the historical tailings at the Company&apos;s Wiluna Gold Operations all within 2km of the Wiluna processing plant. Blackham Resources Ltd (ASX:BLK) (OTCMKTS:BKHRF) provides the Company&apos;s latest presentation titled "Australian Gold Producer with Outstanding Growth Opportunity". Blackham Resources Limited (ASX:BLK) (OTCMKTS:BKHRF) is pleased to present an operational update for the June 2018 half at its 6.5Moz Matilda-Wiluna Gold Operation. Blackham Resources Limited (ASX:BLK) (OTCMKTS:BKHRF) is pleased to announce the appointment of Mr Tony James as a Non-Executive Director of the Company. Blackham continues to strengthen the experience and composition of its Board and management team, which is focused on the successful delivery of the Company&apos;s near and longer-term mine plans. Blackham Resources Limited (ASX:BLK) (OTCMKTS:BKHRF) is pleased to present final results from the Wiluna free milling drill programme. During March&apos;18 to May&apos;18, Blackham&apos;s exploration team drilled 133 RC holes (11,612m) focused on delineating further free milling open pit reserves over the 3.7kms of strike at the Wiluna Mine. The results reported are from the final 66 holes received (5,326m). Blackham Resources Limited (ASX:BLK) (OTCMKTS:BKHRF) is pleased to present an update on successful drill results from the high grade free milling Golden Age orebody which has significantly extended mineralisation beyond current mining areas. Blackham Resources Ltd (ASX:BLK) (OTCMKTS:BKHRF) provides the Company&apos;s latest presentation titled "A Dominant Position in Australia&apos;s Largest Gold Belt". Blackham Resources Limited (ASX:BLK) (OTCMKTS:BKHRF), is pleased to present an update on successful initial drill results from the Wiluna free milling deposits. Blackham Resources Limited (ASX:BLK) (OTCMKTS:BKHRF) is pleased to present an update on its successful results from metallurgical testwork on its Wiluna oxide and transitional ores. Independent Metallurgical Operations Pty Ltd were engaged by Blackham to perform and review the testwork under the supervision of Blackham. Blackham Resources Limited (ASX:BLK) (OTCMKTS:BKHRF) is pleased to present an operational update for the March 2018 quarter at its 6.5Moz Matilda-Wiluna Gold Operation. The March quarter&apos;s production increased 38% from the previous quarter with new monthly record gold production achieved in each successive month of the quarter. Blackham Resources Limited (ASX:BLK) (OTCMKTS:BKHRF) is pleased to confirm the Golden Age Underground mine plan continues to grow with it being extended for a further 6 months to Dec&apos;18. Blackham Resources Limited (ASX:BLK) (OTCMKTS:BKHRF) is pleased to present an operational update for the month of February 2018 at its Matilda-Wiluna Gold Operation. Access to high grade zones in the M4 and Galaxy pits was achieved late in the Dec&apos;17 quarter, enabling record monthly gold production in both Jan&apos;18 and Feb&apos;18 of 6,498oz and 6,713oz, respectively. Blackham Resources Ltd (ASX:BLK) (OTCMKTS:BKHRF) provides the Company&apos;s February 2018 Presentation. Blackham Resources Ltd (ASX:BLK) (OTCMKTS:BKHRF) provides an update on the Company&apos;s fully underwritten, renounceable pro-rata entitlement offer that closed on 12 February 2018. Blackham Resources Limited (ASX:BLK) provides an update on the Company&apos;s fully underwritten, renounceable pro-rata entitlement offer ("Entitlement Offer") that closed on 12 February 2018. Blackham Resources Limited (ASX:BLK) (OTCMKTS:BKHRF) advises that the Company&apos;s fully underwritten, renounceable pro-rata entitlement offer closed at 5.00pm (WST) on 12 February 2018. Blackham Resources Limited (ASX:BLK) (OTCMKTS:BKHRF) is pleased to present an operational update for the month of January 2018 at its Matilda-Wiluna Gold Operation. The Board of Blackham Resources Ltd (ASX:BLK) (OTCMKTS:BKHRF) provides the following update on its activities for the quarter ended 31 December 2017 and thereafter. 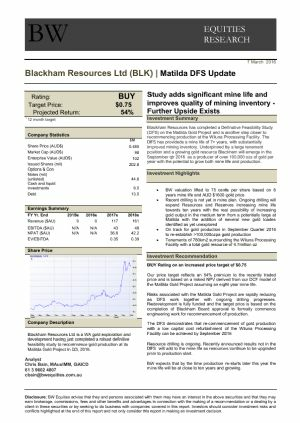 Blackham Resources Ltd (ASX:BLK) (OTCMKTS:BKHRF) is pleased to announce that it has today launched a fully underwritten 5 for 2 renounceable entitlements issue to raise approximately $36 million (before costs), which represents the final step in its previously announced recapitalisation strategy. Blackham Resources Ltd (ASX:BLK) (OTCMKTS:BKHRF) is pleased to announce that it has successfully refinanced its non-amortising term loan with Orion Fund JV Limited, via a new secured $14.3 million financing arrangement with Blackham&apos;s key mining contractor, MACA Limited. 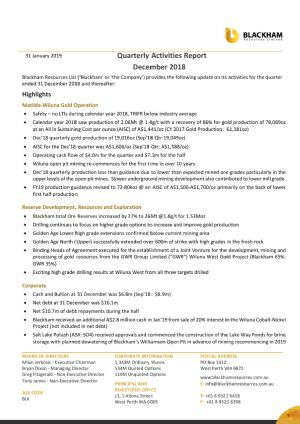 Blackham Resources Ltd (ASX:BLK) (OTCMKTS:BKHRF) is pleased to provide the following operations and production update from its 6.5Moz Matilda-Wiluna Gold Operation for the quarter ended 31 December 2017 together with commentary on the strong operational outlook for 2018. Blackham Resources Limited (ASX:BLK) (OTCMKTS:BKHRF) is very pleased to announce the granting of an extension by its lender, Orion Fund JV Limited, to defer the 31 December 2017 maturity repayment date of the Term Loan to 15 January 2018. 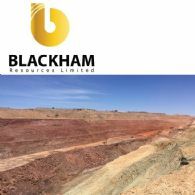 Blackham Resources Limited (ASX:BLK) (OTCMKTS:BKHRF) advises that it has extended the Closing Date of its renounceable pro-rata entitlement offer to shareholders to Friday, 22 December 2017. 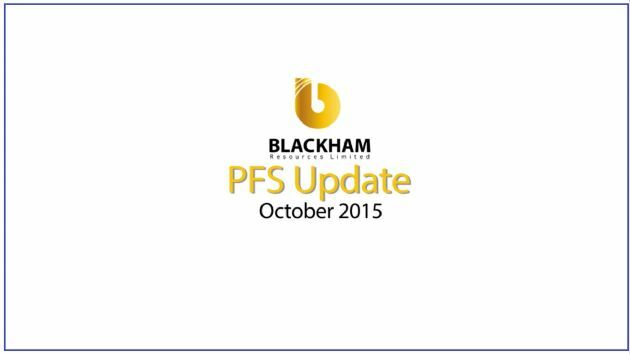 Blackham has decided to extend the Closing Date in response to a number of shareholders advising that there had been a delay in them receiving their Prospectus and Entitlement and Acceptance Form. 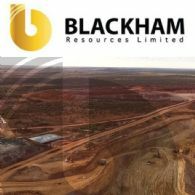 Blackham Resources Limited (ASX:BLK) (OTCMKTS:BKHRF) advises that in accordance with the timetable for the recently announced pro-rata renounceable entitlement issue, the Company has despatched the Entitlement Offer prospectus together with an Entitlement and Acceptance Form to Eligible Shareholders. Blackham Resources Ltd (ASX:BLK) (OTCMKTS:BKHRF) provides Prospectus for a renounceable pro-rata rights issue to raise approximately $12,310,914 (before costs) at an issue price of 12 cents per New Share with Eligible Shareholders having an Entitlement to subscribe for 2 New Shares for every 7 Shares held. 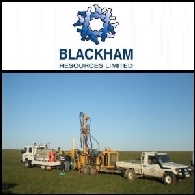 Blackham Resources Ltd (ASX:BLK) (OTCMKTS:BKHRF) is pleased to provide an update on the Reserve Definition Drilling at the Bulletin Lode which has been completed as part of the Expansion Study and will provide the basis for a reserve update for the Bulletin underground mine. Blackham Resources Ltd (ASX:BLK) (OTCMKTS:BKHRF) provides the Company&apos;s AGM Presentation 2017. Blackham Resources Ltd (ASX:BLK) (OTCMKTS:BKHRF) has taken a major step towards completing the re-financing of the Matilda-Wiluna Operation with an agreed initial $60 million Funding Package with Pacific Road Capital. Blackham welcomes Pacific Road as a new cornerstone shareholder and substantial financial contributor to the 6.5Moz Matilda-Wiluna Gold Operation. As stated in the Quarterly Report, Blackham Resources Ltd (ASX:BLK) (OTCMKTS:BKHRF) confirmed it had received strong interest in refinancing of its current debt position. The Board of Blackham Resources Limited (ASX:BLK) (OTCMKTS:BKHRF) provides the following update on its activities for the quarter ended 30 September 2017 and thereafter. 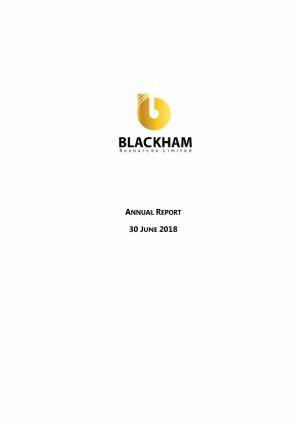 Blackham Resources Ltd (ASX:BLK) (OTCMKTS:BKHRF) provides the Annual Report to shareholders. Blackham Resources Ltd (ASX:BLK) (OTCMKTS:BKHRF) is pleased to provide a revised Mineral Resource estimate for the Wiluna North open pits encompassing the Happy Jack, Bulletin, Squib, Essex, Golden Age North and Starlight orebodies at the Wiluna Gold Operation. Mineral Resource estimates are currently underway for the Adelaide - Moonlight areas and will be reported later this quarter. Blackham Resources Ltd (ASX:BLK) (OTCMKTS:BKHRF) provides the Company&apos;s latest Presentation at Denver Gold Forum. 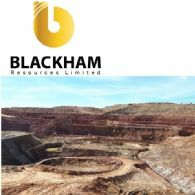 The directors submit the financial report of Blackham Resources Limited (ASX:BLK) (OTCMKTS:BKHRF) and its controlled entities for the year ended 30 June 2017. Blackham Resources (ASX:BLK) (OTCMKTS:BKHRF) has announced a positive Pre-Feasibility Study for their Matilda/Wiluna Gold Project in Western Australia. Blackham Resources Ltd (ASX:BLK) has announced the successful results of the Expansion Preliminary Feasibility Study on its 100% owned Matilda & Wiluna Gold Operation. 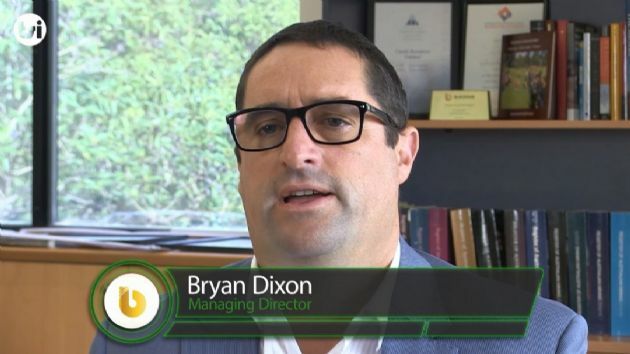 We interviewed Managing Director, Bryan Dixon to discuss these results in further detail. Blackham Resources Ltd (ASX:BLK) (OTCMKTS:BKHRF) yesterday released the successful results of the Expansion Preliminary Feasibility Study on its 100% owned 6.2Moz Matilda & Wiluna Gold Operation. The PFS demonstrated robust economics, a large increase in reserves and improved economies of scale supporting the Operation&apos;s expansion. Blackham Resources Ltd (ASX:BLK) (OTCMKTS:BKHRF) has pleasure in announcing the successful results of the Expansion Preliminary Feasibility Study on its 100% owned Matilda & Wiluna Gold Operation. The PFS demonstrates robust economics and improved economies of scale supporting the Operation&apos;s expansion. Historically, over the last 20 years, the Operation has relied predominately on underground feed. Blackham Resources Limited (ASX:BLK) (OTCMKTS:BKHRF) is pleased to announce the release of a video that provides a useful overview of the East West resource announced to the market on 3 August 2017. Blackham Resources Ltd (ASX:BLK) (OTCMKTS:BKHRF) provides the Company&apos;s latest Presentation at Diggers and Dealers Forum titled "Australian gold producer with exceptional growth opportunity". Blackham Resources Ltd (ASX:BLK) (OTCMKTS:BKHRF) is pleased to provide a revised Mineral Resource estimate for the East and West lodes at the Matilda/Wiluna Gold Operation. Mineral Resource estimates are currently underway for the Happy Jack - Bulletin and Adelaide - Moonlight areas and will be reported later this quarter. The Board of Blackham Resources Limited (ASX:BLK) (OTCMKTS:BKHRF) is pleased to provide an update on its activities for the quarter ended 30 June 2017 and thereafter. Blackham Resources Ltd (ASX:BLK) (OTCMKTS:BKHRF) wishes to provide a production update from its 6.4Moz Matilda/Wiluna Gold Operation. Blackham Resources Ltd (ASX:BLK) (OTCMKTS:BKHRF) is pleased to provide an update on the Reserve Definition Drilling which has been completed as part of the Expansion Study and will provide the basis for a resource and reserve update in support of the Stage 2 expansion plans. Blackham Resources Ltd (ASX:BLK) (OTCMKTS:BKHRF) is pleased to announce that Mr Anthony Rechichi has joined the management team at Blackham as Chief Financial Officer. Blackham Resources Ltd (ASX:BLK) (OTCMKTS:BKHRF) is pleased to provide the Company&apos;s latest Presentation at AMEC Conference in Perth. In this issue: key stocks are providing outperformance, gold demand remains robust, and we talk about the mixed results in the gold sector. Read this latest Dawes Points to better understand the global forces that drive resources sector investment. Blackham Resources Ltd (ASX:BLK) (OTCMKTS:BKHRF) has noted the significant trading activity in its shares over the past week. 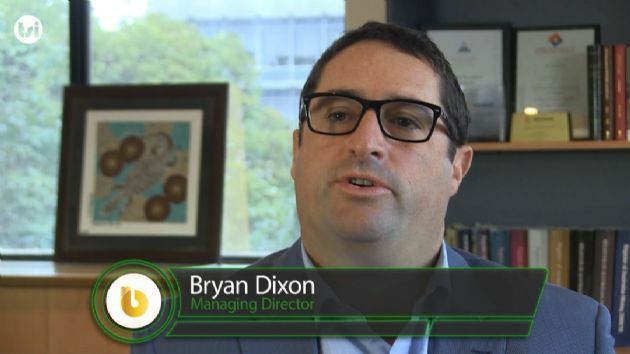 Blackham is not aware of any information to explain the volumes or movements in recent share trading activity. Blackham Resources Ltd (ASX:BLK) (OTCMKTS:BKHRF) is pleased to provide an update on Reserve Definition Drilling completed at the East and West lodes at the Matilda/Wiluna Gold Operation. Results of this drilling will provide the basis for a resource and reserve update in support of the Stage 2 expansion plans. Blackham Resources Ltd (ASX:BLK) (OTCMKTS:BKHRF) has provided an update on their Expansion Study for their Matilda Gold project in Western Australia. The study highlighted that Matilda Project will become one of the only gold assets in Australia which produces more than 200,000oz pa Au and not owned by a major. 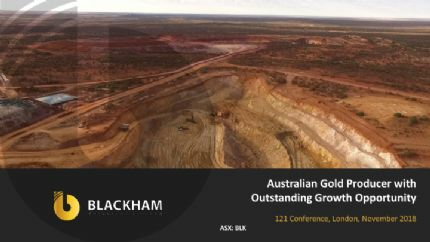 Blackham Resources Ltd (ASX:BLK) (OTCMKTS:BKHRF) is pleased to provide the Company&apos;s latest Presentation at Sydney RIU Conference. Blackham Resources Ltd (ASX:BLK) (OTCMKTS:BKHRF) has pleasure in announcing the completion and successful results of the Preliminary Expansion Study on its 100% owned Matilda/Wiluna Gold Operation. In this issue: the sector volatility has created a buying opportunity. Read this latest Dawes Points to better understand the global forces that drive resources sector investment. 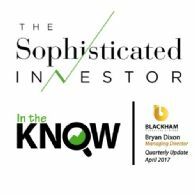 The Board of Blackham Resources Limited (ASX:BLK) (OTCMKTS:BKHRF) is pleased to provide an update on its activities for the quarter ended 31 March 2017 and thereafter. Blackham Resources Ltd (ASX:BLK) (OTCMKTS:BKHRF) wishes to advise details of a restructure to its Board and management intended to focus operating responsibilities for the Matilda/Wiluna Gold Operations and to drive operating improvements. Blackham Resources Ltd (ASX:BLK) (OTCMKTS:BKHRF) wishes to provide an update on recent drilling results which have confirmed the new geological model for the Golden Age orebody. Blackham Resources (ASX:BLK) (OTCMKTS:BKHRF) has provided an update on recent events associated with its Matilda/Wiluna gold production activities. Gold production for the March 2017 quarter was 15,056oz. Significant improvements in crusher and mill performance were seen during the quarter, however lower grade profile resulted in lower than forecast production. Blackham Resources Ltd (ASX:BLK) (OTCMKTS:BKHRF) wishes to provide an update on recent events associated with its Matilda/Wiluna gold production activities. Blackham Resources Ltd (ASX:BLK) (OTCMKTS:BKHRF) is pleased to provide the Company&apos;s latest Presentation. Blackham Resources Ltd (ASX:BLK) (OTCMKTS:BKHRF) ("Blackham") is pleased to provide an update on Reserve Definition Drilling at the East and West lodes at the Wiluna Gold Operation. Ore Reserves identified as a result of this drilling will provide the basis for the Stage 2 expansion study aimed at growing production beyond 200,000ozpa. Blackham Resources Ltd (ASX:BLK) (OTCMKTS:BKHRF) is pleased to announce that it has raised A$35 million through a Placement. Dawes Points Issue 61. In this issue: Gold&apos;s next upleg appears to now be underway and opportunities abound. The inflationary and prices pressures are building for gold and resources commodities, but which stocks should you look at? Read this latest Dawes Points to learn where you should be investing, and why. Blackham Resources Ltd (ASX:BLK) (OTCMKTS:BKHRF) is pleased to provide the Company&apos;s latest Presentation titled "Australian gold producer with exceptional growth opportunity". Blackham Resources Ltd (ASX:BLK) (OTCMKTS:BKHRF) is pleased to provide an update on its activities for the quarter ended 31 December 2016 and thereafter. Blackham Resources Ltd (ASX:BLK) (OTCMKTS:BKHRF) is pleased to provide a revised Mineral Resource estimate for an expanded Matilda/Wiluna Gold Operation. 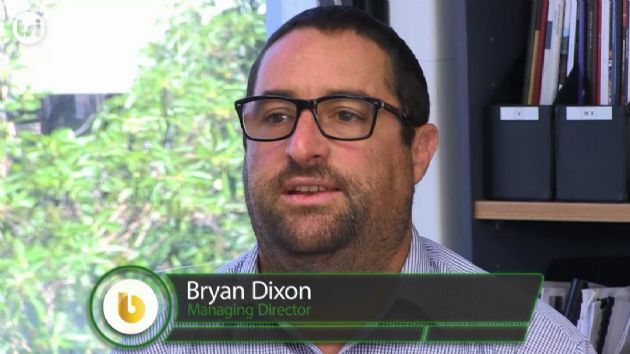 Interview with Managing Director, Bryan Dixon to discuss the December Quarterly production. Blackham Resources (ASX:BLK) has announced their first quarter gold production results at their Matilda Gold Project. Blackham Resources Ltd (ASX:BLK) is pleased to provide an update on gold production at its 6.0Moz Matilda/Wiluna Gold Operation. Blackham Resources Ltd (ASX:BLK) is pleased to announce the assay results from the remainder of the Wiluna drilling program, drilled as part of a 25,000m RC and diamond drilling program undertaken to investigate open pit potential at Wiluna and support the mill expansion study. Blackham Resources Ltd (ASX:BLK) is pleased to provide a revised Mineral Resource estimate for the Matilda/Wiluna Gold Operation. This is the first resource associated with the Stage 2 expansion study aimed at growing production beyond 200,000ozpa. Blackham Resources Ltd (ASX:BLK) is pleased to announce additional assay results from the East and West Lodes at Wiluna which were drilled as part of a 25,000m RC and diamond drilling program undertaken to investigate open pit potential at Wiluna and support the mill expansion study. These results follow on from those reported to the ASX on 9th November 2016 and confirm continuity of mineralisation. 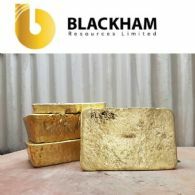 Blackham Resources Ltd (ASX:BLK) is pleased to announce that it has realised $6.3 million in cash following the purchase of physical gold ounces at the current reduced spot price to close out a total of 41,250 ounces of forward gold sales contracts at an average price of $1,762/oz. Your Company has transitioned from being an explorer and developer to being the newest gold producer in Australia. This has been made possible by the executive team lead by Bryan Dixon and Alan Thorn, who have secured a significant undervalued asset and pursued this opportunity through hard work, tenacity and skill to make it a reality. 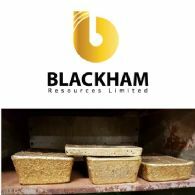 Blackham Resources Ltd (ASX:BLK) is pleased to provide an update on gold production at its 5.1Moz Matilda Gold Project. Blackham recently provided Interquip and Practon with notices of practical completion at its 1.7Mtpa Wiluna Gold Plant. Interquip which is the Structural, Mechanical and Procurement contractor for the refurbishment of the Wiluna Gold Plant and Practon the Electrical and Instrumentation contractor, demobilised the bulk of their refurbishment teams during October. 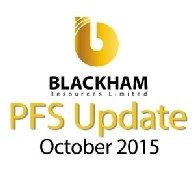 Blackham continues to ramp up production to its Stage 1 production target of 100,000ozpa. Blackham Resources Ltd (ASX:BLK) is pleased to announce initial results from the initial 15,000m of drilling completed as part of a 25,000m RC and diamond drilling program undertaken to support the mill expansion study at Wiluna. The Board of Blackham Resources Ltd (ASX:BLK) is pleased to provide an update on its activities for the quarter ended 30 September 2016 and thereafter. Blackham Resources Ltd (ASX:BLK) is pleased to announce the latest results from resource infill and extension drilling at the Matilda Gold Project in Western Australia. The latest 53 RC holes for 6159m, have intersected significant extensions to mineralisation at the M6, M1/M5 and M3 deposits. Blackham Resources (ASX:BLK) recently commenced gold production at their Matilda Gold Project located in Wiluna, Western Australia. We have increased our valuation to $1.87 / share, with the major driver being the potential expansion of the processing facility that could see gold production increase to more than 180,000oz pa.
Blackham Resources (ASX:BLK) recently commenced gold production at their Matilda Gold Project located in Wiluna, Western Australia. We visited the project to take investors on a virtual site trip. Blackham Resources Ltd (ASX:BLK) is pleased to have completed its first gold pour at its 5.1Moz Matilda Gold Project. Blackham Resources Ltd (ASX:BLK) is pleased to advise that gold production has commenced from its 5.1Moz Matilda Gold Project. The CIL tanks are operational and milling of ore has commenced. Commissioning is also underway on the gravity circuit, elution circuit, and gold room. 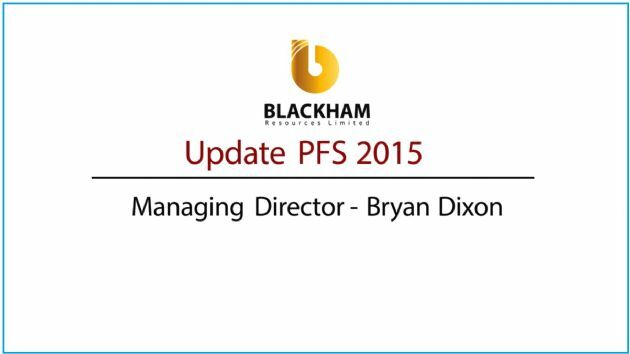 Blackham Resources Ltd (ASX:BLK) is pleased to provide the latest Company presentation at the Precious Metals Symposium, October 2016. Blackham Resources Ltd (ASX:BLK) directors submit the financial report of Blackham Resources Limited (&apos;Blackham&apos; or the &apos;Company&apos;) and its controlled entities (the &apos;Group&apos;) for the year ended 30 June 2016. The Board of Blackham Resources Ltd (ASX:BLK) (&apos;Blackham&apos; or &apos;the Company&apos;) is pleased to advise that it has forward sold a further 34,250oz of gold at an average price of A$1,774 per oz. 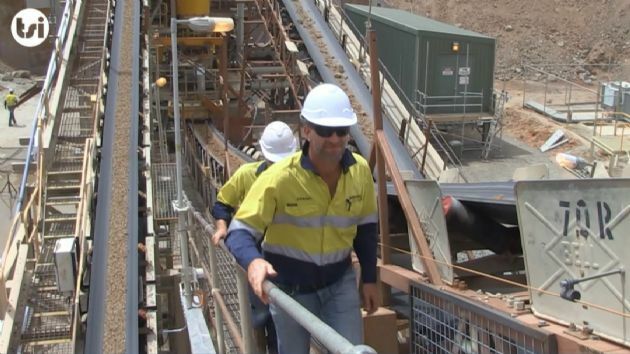 Blackham is currently mining at its Matilda Gold Project and wet commissioning the Wiluna Gold Plant. The Board of Blackham Resources Limited (ASX:BLK) is pleased to advise that the Wiluna gold plant wet commissioning is underway at its 5.1Moz Matilda Gold Project. Blackham Resources Ltd (ASX:BLK) are pleased to provide the latest Presentation at the Mining 2016 Conference including an update on the Company&apos;s projects. Blackham Resources Limited (ASX:BLK) is pleased to announce that it has raised A$25 million through a Placement. The raising was oversubscribed and received strong institutional support. Blackham Resources Ltd (ASX:BLK) is pleased to announce the latest results received from underground drilling at the Bulletin mine with drilling from the Bulletin Decline continuing to produce excellent results between the historical stopes. The Board of Blackham Resources Limited (ASX:BLK) is pleased to provide an update on the commissioning of its 5.1Moz Matilda Gold Project. Blackham Resources (ASX:BLK) is due to commence production at their Matilda Gold Project in the coming month. 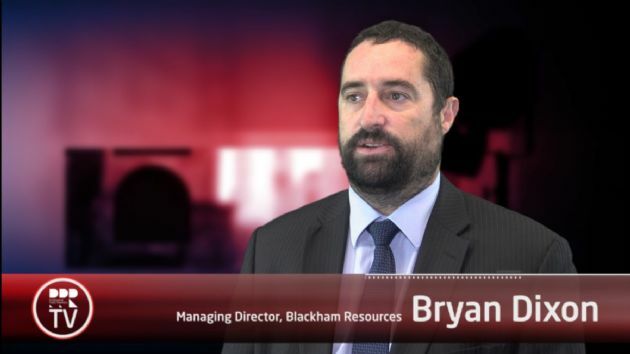 Due to recent exploration success, Blackham has indicated that they are considering increasing the throughput capacity at their Matilda Project. 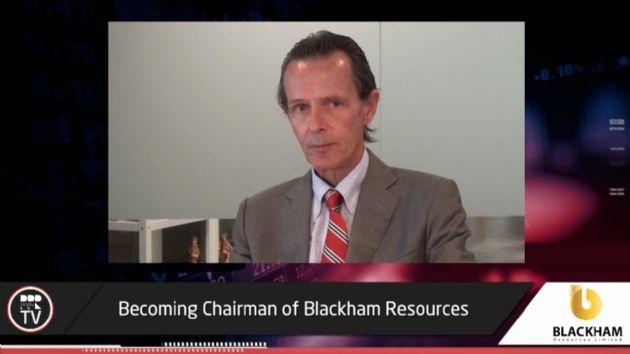 We believe this could see production increase to between 180,000 to 220,000oz Au pa.
FINANCE VIDEO: Blackham Resources Ltd (ASX:BLK) executive interview with Managing Director Bryan Dixon discussing the company&apos;s recent mining activities. Blackham Resources Ltd (ASX:BLK) are pleased to provide the Company&apos;s latest corporate presentation at the WA Mining Club titled, "Gold, Gold to Australia, Gold". The Board of Blackham Resources Limited (ASX:BLK) is pleased to provide an update on its activities for the quarter ended 30 June 2016 and thereafter. Blackham Resources Ltd (ASX:BLK) is pleased to announce that it has successfully achieved another milestone towards gold production with the commencement of open pit mining and underground development work at the Company&apos;s Matilda Gold Project. Blackham Resources Ltd (ASX:BLK) is pleased to announce that all assay results from an extension drilling program at the Matilda Gold Project in Western Australia have now been received. A total of 17 RC holes for 4,067m have been completed targeting extensions to mineralisation at the Wiluna Gold Mine. Blackham Resources Ltd (ASX:BLK) is pleased to announce the latest results from resource infill and extension drilling at the Matilda Gold Project in Western Australia. Blackham Resources Ltd (ASX:BLK) is pleased to announce the latest results from extension drilling at the Matilda Gold Project in Eestern Australia. 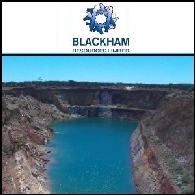 Blackham Resources Ltd (ASX:BLK) ("Blackham") is pleased to announce that following the recent final approvals required to commence operations at its 5.1Moz Matilda Gold Project, it has selected contractors for mining, tailings dam construction and the power station. Blackham Resources Ltd (ASX:BLK) is pleased to report its maiden resource estimate for Moonlight Shear of 2.6Mt @ 4.6g/t for 381,000oz Au (10% Indicated) and has commenced open pit and underground mining studies on the deposit. The Moonlight Shear deposit is located less than two kilometres from Blackham&apos;s 100% owned gold plant. Blackham Resources Ltd (ASX:BLK) is pleased to provide a revised Ore Reserve estimate for the Matilda Gold Project. Recent successful drilling, resource upgrades and open pit and underground mine design optimisations have added a further 43,000oz to the free milling reserves at the Matilda Gold Project since the publishing of the Definitive Feasibility (DFS) on 24 Feb 2016. Blackham Resources Ltd (ASX:BLK) is pleased to announce it has gained its final approvals and funding commitment required to commence operations at its 4.8Moz Matilda Gold Project. Blackham Resources Ltd (ASX:BLK) are pleased to provide the latest Company presentation at the AMEC Conference titled, &apos;Matilda Gold Production Next Quarter&apos;. Blackham Resources Ltd (ASX:BLK) is pleased to announce it has gained a number of approvals for the Matilda Gold Project. Blackham Resources Ltd (ASX:BLK) is pleased to announce that it has entered into an agreement with Intermin Resources Ltd (&apos;Intermin&apos;)(ASX:IRC) to purchase their calcine tailings stockpile located next to the Wiluna Plant. 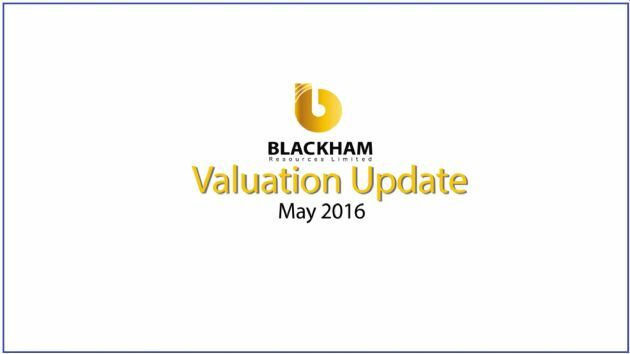 Blackham Resources Ltd (ASX:BLK) Valuation Update - Exploration Continues to Grow Mine Life. 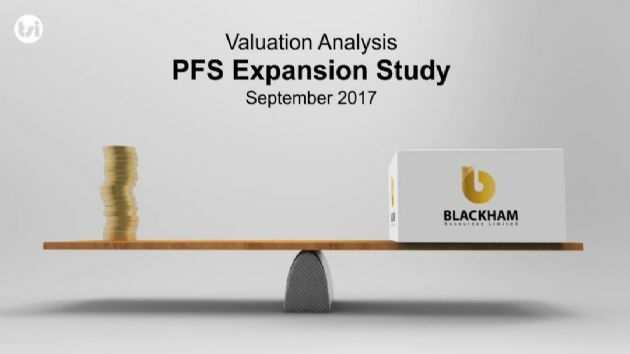 Blackham has released a number of key announcements over the past number of months that has resulted in a valuation upgrade. 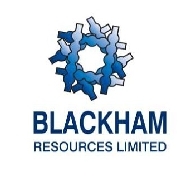 Blackham Resources Ltd (ASX:BLK) are pleased to provide the Company&apos;s presentation for the RIU Conference May 2016, in Sydney. Blackham Resources Ltd (ASX:BLK) is pleased to report on exploration targets defined from detailed gravity and passive seismic geophysical surveys completed at the Matilda Gold Project. Blackham Resources Ltd (ASX:BLK) is pleased to announce it has sold forward 20,000 ounces of gold at an average price of A$1,701 per ounce and has a further 20,000 ounce of puts at an exercise price of A$1,575/oz. The objective of the gold hedging is to take advantage of the recent rally in the Australian dollar gold price and create certainty over the early cash flow from the Matilda Gold Project. The Board of Blackham Resources Limited (ASX:BLK) is pleased to provide an update on its activities for the quarter ended 31 March 2016 and thereafter. 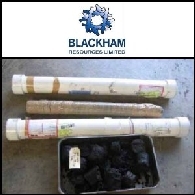 Blackham Resources Ltd (ASX:BLK) is pleased to announce the latest results received from underground drilling at the Bulletin mine. The diamond drill program was designed to extend the lode identified in Blackham&apos;s previous round of drilling between two historical stopes. Blackham Resources Ltd (ASX:BLK) is pleased to provide a revised Ore Reserve estimate for the Matilda Gold Project. The estimate was undertaken by Entech Pty Ltd based on the successful Bulletin Resources upgrade announced on the 14 March 2016. Blackham Resources Ltd (ASX:BLK) aims to unlock the potential of the Matilda & Wiluna Goldfields through committed exploration programs. Blackham Resources Ltd (ASX:BLK) is pleased to welcome Bruce Kendall to the position of Chief Geological Officer. Bruce Kendall has over 20 years&apos; experience in managing greenfields, brownfields and near mine exploration in gold and base metals. Blackham Resources Ltd (ASX:BLK) is pleased to announce the latest results from drilling at the Matilda Gold Project in Western Australia. The latest of 79 RC holes for 5,637m have intersected both broad mineralised and high-grade zones, and are expected to further extend the resource beyond the planned mining areas. 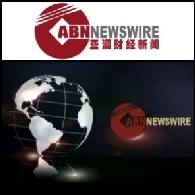 Blackham Resources Ltd (ASX:BLK) are pleased to provide the Company presentation for Hong Kong Mines & Money. Blackham Resources Ltd (ASX:BLK) is pleased to provide results from the recent drilling activities at its Golden Age underground mine, Galaxy open pit mine and from its maiden drill programme at the Lake Way quartz reef prospect. Blackham Resources Limited (ASX:BLK) is pleased to announce that the Board has approved the signing of the key refurbishment contracts for the Matilda Gold Project. 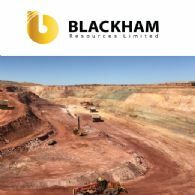 Blackham Resources Ltd (ASX:BLK) are pleased to provide the financial report for the Company and its controlled entities (the Group) for the half-year ended 31 December 2015. Blackham Resources Ltd (ASX:BLK) is pleased to announce the latest results received from its maiden underground drilling at Bulletin and the upgrade to the Bulletin Resource to 1.6Mt @ 4.8g/t for 247,000oz Au. Bulletin forms part of the Blackham&apos;s 100% owned Matilda Gold Project in Western Australia. Blackham Resources Limited (ASX:BLK) is pleased to announce that it has raised A$20.3 million through a Placement. The raising received very good institutional support and was strongly oversubscribed. Blackham Resources Ltd (ASX:BLK) is pleased to announce that an updated research report has been completed by BW Equities and the report is now available. 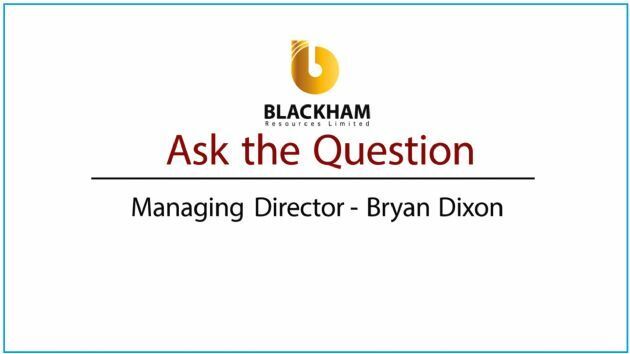 Interview with Blackham Resources Ltd (ASX:BLK) Managing Director, Bryan Dixon, to discuss the results of the DFS for the Matilda Gold Project. 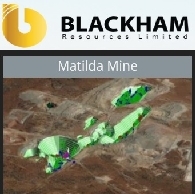 Blackham Resources Limited (ASX:BLK) Matilda Feasibility Confirms 2016 Production. The company has announced the completion of the Definitive Feasibility Study ("DFS") on its 100% owned Matilda Gold Project ("Project"). Blackham Resources Limited (ASX:BLK) Matilda Feasibility confirms 2016 Production RIU Fremantle Conference Presentation. Blackham Resources Ltd (ASX:BLK) has pleasure in announcing the completion of the Definitive Feasibility Study ("DFS") on its 100% owned Matilda Gold Project. Blackham Resources Ltd (ASX:BLK) is pleased to announce that Canaccord Genuity has initiated research coverage on the Company and the report is now available on the Company&apos;s website. Blackham Resources Ltd (ASX:BLK) is pleased to announce the latest results received from drilling at the Matilda Gold Project in Western Australia. The latest of 24 RC holes for 1,775m has identified two new highly prospective lodes. Blackham Resources Ltd (ASX:BLK) is pleased to announce the latest upgrade in resources at the Williamson Mining Centre which is part of Blackham&apos;s Matilda Gold Project. The resource update includes a revision of the geological interpretation and additional drilling undertaken in late 2015. 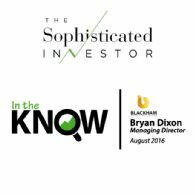 Blackham Resources Limited (ASX:BLK) announce the Institutional Roadshow Presentation for February 2016. 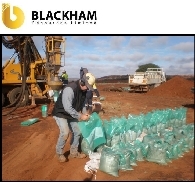 Blackham Resources Limited (ASX:BLK) announce the Quarterly Activities & Cashflow Report for the period ending December 2015. Blackham Resources Ltd (ASX:BLK) is pleased to announce the latest resource estimate update from the Matilda mining centre. The Matilda Mine resource totals 12.9Mt @ 1.8 g/t for 724,000oz Au with the Measured and Indicated resource now totalling 7.6Mt @ 1.8g/t for 439,000oz Au. Blackham Resources Ltd (ASX:BLK) is pleased to provide an update on the results from the recent resource definition and Definitive Feasibility Study (DFS) drilling activities at its Galaxy gold deposit. Blackham Resources (ASX:BLK) is a step closer to bringing its Matilda Gold Project into production with the completion of a Pre-Feasibility Study confirming robust economics. Equity analysts, The Sophisticated Investor, have initiated coverage on Australian near-term gold producer, Blackham Resources Ltd (ASX:BLK). 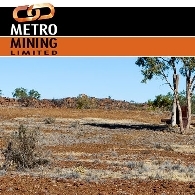 Metro Mining Ltd (ASX:MMI) announced that it has signed a bauxite off-take non-binding Memorandum of Understanding (MoU) with the Xinfa Group. Xinfa Group is one of the largest integrated aluminium Companies in China. Blackham Resources (ASX:BLK) is Australia&apos;s next emerging gold producer, focused on near term gold production from the development of the Matilda Gold Project in central Western Australia. Blackham Resources Ltd (ASX:BLK) has signed a $38.5 million funding package, fully funding the company to bring its flagship Matilda Gold Mine into production and increase its resource base. 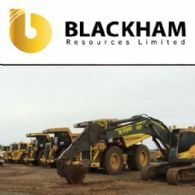 Blackham Resources Limited (ASX:BLK) is an ASX listed gold exploration company which has recently gone through a turbulent and at time bitter dispute with its former Chairman and one of its major shareholders, Joseph Gutnick. 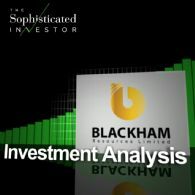 Blackham Resources Limited (ASX:BLK) is pleased to lodge a copy of the presentation to be given at the Gold Coast Resources Showcase to be held at the Sheraton Mirage Resort and Spa, Gold Coast Queensland on June 12-13, 2013. Blackham Resources Ltd (ASX:BLK), is pleased to announce latest results from drilling at the Matilda Gold Project in Western Australia. Blackham has undertaken a large RC drilling campaign at the Matilda Mining Centre to extend and increase the confidence of the existing resource. Blackham Resources Ltd (ASX:BLK) is pleased to report a review of development options at the Williamson Mining Centre which is part of Blackham&apos;s Matilda Gold Project. Blackham Resources Ltd (ASX:BLK) is pleased to announce outstanding results from recent drilling at the Matilda Gold Project in Western Australia. Latest results are from the M1 pit area, which historically the produced 1.5Mt @ 2.5g/t for 121,000oz contained gold. Blackham Resources Ltd (ASX:BLK) is pleased to report the latest upgrade in resources at the Williamson Mining Centre which is part of Blackham&apos;s Matilda Gold Project. Blackham Resources Limited (ASX:BLK) advise that Notice of General Meeting is given including the Agenda. On 18 February 2013, Blackham Resources Limited (ASX:BLK) confirmed receipt of the first tranche of the $13 million funding package secured for its 100%-owned Matilda Gold Project in Western Australia with Great Central Gold Pty Ltd ("Great Central"), a private company controlled by leading mining industry entrepreneur Mr Joseph Gutnick. Blackham Resources Ltd (ASX:BLK), is pleased to announce latest results from recent drilling at the Matilda Gold Project in Western Australia. Blackham&apos;s RC drilling programme at the Matilda Mining Centre is focussing on the M1, M2, M3 and M4 Deposits. Blackham Resources Ltd (ASX:BLK) is pleased to announce first results from recent drilling at the M4 Deposit at the Matilda Gold Project in Western Australia. Blackham is currently drilling a 30,000m RC programme primarily at the Matilda Mining Centre focussing on the M1, M2, M3 and M4 Deposits. Blackham Resources Ltd (ASX:BLK) is pleased to report the completion of the Matilda preliminary feasibility metallurgical testwork and Process Design Criteria (PDC). 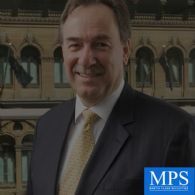 The completed work is the second phase of metallurgical study which was supervised and undertaken by Independent Metallurgical Operations Pty Ltd.
Blackham Resources Limited (ASX:BLK) are pleased to advise that Mr Craig Michael has been appointed as an Alternate Director for Mr Joseph Gutnick. Mr Gutnick was recently appointed as Non-executive Chairman of the Company as detailed in an ASX announcement on 19 February 2013. 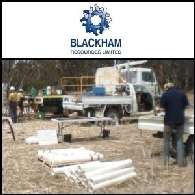 Blackham Resources Limited (ASX:BLK) is pleased to announce that the first of two RC rigs have arrived at the Matilda Gold Project and commenced drilling. This is the first stage in a large, 30,000m drill campaign that will test targets at the Matilda and Williamson Gold Mines. This programme has been facilitated by the recent $13M funding agreement announced on 4th February 2013. Blackham Resources Limited (ASX:BLK) is pleased to confirm receipt of the first tranche of the $13 million funding package secured for its 100%-owned Matilda Gold Project in Western Australia with Great Central Gold Pty Ltd ("Great Central"), a private company controlled by leading mining industry entrepreneur Mr Joseph Gutnick. 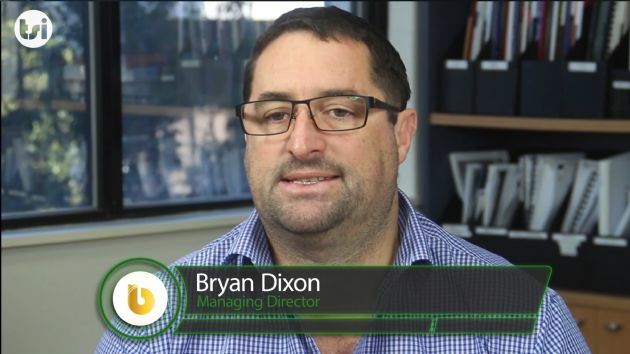 Blackham Resources Limited (ASX:BLK) has released a webcast with the following details: Blackham secures $13 million funding deal, Speaker: Bryan Dixon, Managing Director, Live date: Friday, 8 February 10:40am AEST. Blackham Resources Limited (ASX:BLK) has secured a $13 million funding package for its 100%-owned Matilda Gold Project in Western Australia with Great Central Gold Pty Ltd ("Great Central"), a private company controlled by leading mining industry entrepreneur Mr Joseph Gutnick. The Matilda Gold Project has 1.5 million ounces of gold resources in a major Western Australian goldfield. Blackham Resources Ltd (ASX:BLK) is pleased to report an upgrade in resources around its Matilda Mine which increases the Matilda Gold Project gold resource to 24Mt @ 1.9 g/t au for 1.5Moz au. Blackham Resources Limited (ASX:BLK) has secured further funding for its 100%-owned Matilda Gold Project which currently yields 1.4 million ounces of gold resources in a major Western Australia goldfield. Blackham has agreed to issue 2,500,000 ordinary shares ("the Placement") at AU$0.16 per share to mainly to existing shareholders of the Company. The Investors are all professional and sophisticated investors and a separate disclosure document is not required. 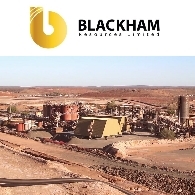 Blackham Resources Limited (ASX:BLK) are pleased to provide the company 2012 Annual General Meeting Presentation. Blackham Resources Limited (ASX:BLK) is pleased to announce its initial open pit mine designs and scoping study results at the Matilda Mine in Western Australia. The initial scoping study has been prepared by Entech Mining on the assumption the Matilda Mine ore is processed through the Wiluna Gold Plant owned by Apex Minerals NL, which is 19km by existing haul road from the Matilda Gold Mine. Blackham Resources Ltd (ASX:BLK)is pleased to announce further results of recent drilling at the Matilda Gold Project in Western Australia. Blackham has recently completed an infill and extension RC programme at the Matilda Mining Centre focussing on the M1, M3 and M4 Deposits. A total of 3,200m of RC was completed. Blackham Resources Ltd (ASX:BLK) is pleased to announce the results of recent drilling at the Matilda Gold Project near the township of Wiluna in Western Australia. Blackham is currently undertaking an infill and extension RC programme at the Matilda Mining Centre focussing on the M1, M3 and M4 Deposits. 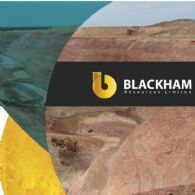 Blackham Resources Limited (ASX:BLK) are pleased to provide the Company Annual Report to shareholders for year ended 30 June 2012. Blackham Resources Limited (ASX:BLK) is pleased to provide a Company presentation to Melbourne Resource Round Up Conference, regarding the Matilda Gold Project, gold resources and exploration target and Matilda Mine plant. Blackham Resources Limited (ASX:BLK) is pleased to report the Resource Estimate for the M3 Deposit at the Matilda Gold Project has been completed by independent geological consultant Runge Limited (ASX:RUL). The M3 Deposit is estimated to contain 755,000t at 1.7g/t Au for a total of 42,000oz. The combined Matilda Project estimate has grown to 23Mt at 1.9g/t for 1.4Moz Au. The M3 deposit is crucial to unlocking the value of the Matilda Project due to its strategic position between the larger deposits of M1 and M4. Blackham Resources Ltd (ASX:BLK) has secured $1.1 million in funds to progress the exploration program at its 100%-owned Matilda Gold Project which currently yields 1.35 million ounces of JORC-compliant gold resources. 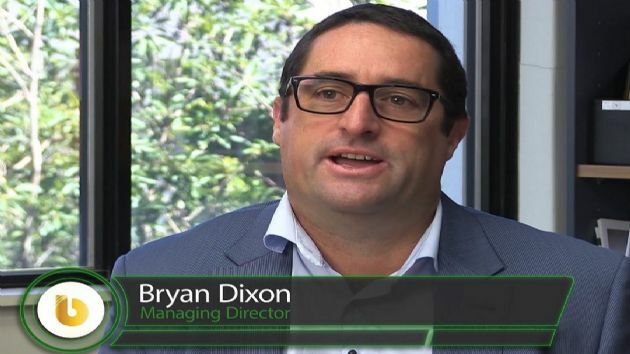 Blackham has agreed to issue 5,800,000 ordinary shares ("the Placement") at AU$0.19 per share to professional and sophisticated investors and a separate disclosure document is not required. Approval for the Placement was given in its general meeting of the 29 June 2012. The lead manager of the placement was Paradigm Securities. Blackham Resources Limited (ASX:BLK) is pleased to report the Resource Estimate for the M1 Deposit at the Matilda Gold Project has been completed by independent geological consultant Runge Limited (ASX:RUL). The M1 Deposit is estimated to contain 4.1Mt at 2.2g/t Au for a total of 281,200oz. The combined Matilda Project estimate has grown to 22.2Mt at 1.9g/t for 1.35Moz Au. Blackham Resources Limited (ASX:BLK) is pleased to report the Matilda Gold Project&apos;s combined resource estimate has grown to 18.2Mt at 1.8g/t for 1,070,000oz of gold. The 3 main mining centres are all located within 10kms of the historic Matilda Mine plant footprint and 26kms of the Wiluna Gold Plant. Blackham contracted independent geological consultant Runge Limited (ASX:RUL) to carry out a review and estimate of the mineral resource for the Matilda Mining Centre gold deposits near Wiluna, Western Australia. Blackham Resources Limited (ASX:BLK) is pleased to advise that it is conducting a review of the nickel potential at its wholly owned Fraser Range Project following the recent discovery of the Nova deposit by Sirius Resources Limited (ASX:SIR). Blackham Resources Ltd (ASX:BLK) contracted independent geological consultant Runge Limited (ASX:RUL) to carry out a review and estimate of the mineral resource for the Matilda Mining Centre gold deposit near Wiluna, Western Australia. The Matilda deposits now have a combined resource of 5.1Mt at 1.3g/t for 211,000oz of gold. An extensive programme of interrogation and validation of the resource data prior to re-estimation has resulted in an upgrade to both confidence and the size of the Matilda resource. The Matilda Mine Indicated resource now stands at 906,000t @ 1.5g/t. 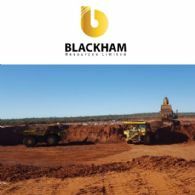 Blackham Resources Limited (ASX:BLK) are pleased to provide the June 2012 Quarterly Activities Report. Blackham Resources Ltd (ASX:BLK) advises that its Scaddan and Zanthus Coal Projects are NOT affected by the State Government recent ban on coal mining in the Margaret River area. Blackham Resources Ltd (ASX:BLK) is pleased to announce that geological investigations at the Williamson area has identified an exploration target of 0.5 Moz to 2.0 Moz (2 to 6 g/t Au). The exploration target has been defined beneath the existing Williamson and Williamson South Resources and over the Carroll and Prior Prospects, approximately 1-2 km south of the Williamson Mine. The exploration target represents potential gold endowment in addition to the estimated combined resources at Williamson of 364,000oz. Blackham Resources Ltd (ASX:BLK) contracted independent geological consultant Runge Limited to carry out a review and estimate of the mineral resource for the Regent gold deposit near Wiluna, Western Australia. The Regent deposit now has a resource of 3.8Mt at 2.2g/t for 270,000oz of gold. An extensive programme of interrogation and validation of the resource data prior to re-estimation has resulted in an upgrade to both confidence and the size of the Regent resource. Blackham Resources Ltd (ASX:BLK), ("Blackham") is pleased to announce the receipt of final assays from further drilling at the Matilda Gold Project. 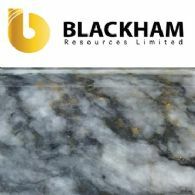 Blackham completed 17 Reverse Circulation (RC) drill holes totalling 1,916m during April 2012. 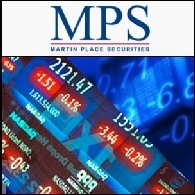 The program has tested extensions of mineralisation both up- and down-plunge at M10, M6 and M3 deposits at Matilda. Blackham Resources Limited (ASX:BLK) Investor Presentation with the opportunity to develop substantial resources in Western Australia&apos;s Wiluna greenstone belt. 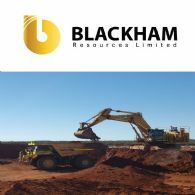 Blackham Resources Limited (ASX:BLK) is pleased to provide its Quarterly Activity Report for the quarter ended 31 March 2012. Blackham Resources Limited (ASX:BLK) is pleased to announce results from further drilling at the Matilda Gold Project. 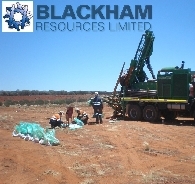 Blackham completed 17 Reverse Circulation (RC) drill holes totalling 1,916m during April 2012. The program has tested extensions of mineralisation both up- and down-plunge at M10, M6 and M3 deposits at Matilda. Blackham Resources Limited (ASX:BLK) is pleased to confirm it has applied for a mining lease application over its 100% owned Regents gold deposit. Recently Blackham contracted independent geological consultant Runge Limited to estimate the mineral resource for the Regent gold deposit near Wiluna, Western Australia. The Regent deposit has an inferred resource of 3.5Mt at 2.1g/t for 237,000oz of gold. Blackham Resources Limited (ASX:BLK) is pleased to announce it has secured up to AU$9,150,000 in funds to progress the exploration program at its 100%-owned Matilda Gold Project which currently yields 757,000 ounces of JORC-compliant inferred gold resource. The funding arrangement is underpinned by an AU$8,125,000 investment ("the Agreement") from The Australian Special Opportunity Fund, a New York-based institutional investor, managed by The Lind Partners (together, "Lind"). Blackham Resources Limited (ASX:BLK) is pleased to announce that drilling has re-commenced at the Matilda Gold Project following the success of its first drilling campaign in February. The drilling programme will consist of approximately 2,000m targeting the Matilda Mine area and in particular shallow oxide mineralisation at the M10 Prospect. Blackham Resources Ltd (ASX:BLK) contracted independent geological consultant Runge Ltd to carry out a review and estimate of the mineral resource for the Regent gold deposit near Wiluna, Western Australia. The Regent deposit now has an inferred resource of 3.5Mt at 2.1g/t for 237,000oz of gold. Blackham Resources Limited (ASX:BLK) are pleased to provide an Investor Presentation - Mines Money Hong Kong. Blackham Resources Ltd (ASX:BLK) is pleased to announce first results of drilling at the Matilda Gold Project, completed in late February. The drill programme comprised 21 holes for a total 2,009m targeting several prospects at the historic Matilda Mining Centre. Results from the first seven holes, all located at the M10 Prospect, have produced numerous significant intercepts. Blackham Resources Limited (ASX:BLK) is pleased to announce that following the recent publication of its initial resource statement, it has commenced a 2,000 metre RC drilling programme at the Matilda Gold Mine. This area has not been drilled in over 15 years and management believe the Matilda Mine has potential for both sizeable open pit and high grade underground deposits. Blackham Resources Ltd ("Blackham") (ASX:BLK) has received firm commitments to raise AU$950,000 (before costs) by a private placement of 4.75 million ordinary shares at 20 cents per share. Blackham Resources Limited (ASX:BLK) is pleased to announce that is has completed a review of existing deposits at the Matilda Gold Project. This review has identified 601,000oz of existing resources within the project area, including 301,000oz of resources remaining at the Williamson Mine since the completion of mining. 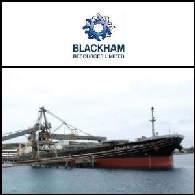 Blackham Resources Limited (ASX:BLK) is pleased to announce it has finalised a scoping study for the export of coal from its 70% owned Scaddan Coal Project in Western Australia. Engenium, an independent Project Management and Engineering consulting firm, was commissioned by Blackham to complete the scoping study for the export of Scaddan coal through the Esperance Port. The Scaddan Coal Project is located 60km north of the Esperance Port. Blackham Resources Limited (ASX:BLK) is pleased to announce it has acquired 100% of the Wiluna South and Williamson Gold Mines and the Regents, Carol Prior, Galaxy Gold Deposits in the Wiluna gold belt of Western Australia (Project). The 600km2 landholding surrounds the operating Wiluna Gold Mine owned by Apex Minerals NL (ASX:AXM). This region has produced over 4 million ounces of gold. The current Wiluna Gold Mine resource is 12.7 Mt at 5.4g/t gold (as reported by Apex Minerals NL in their 2010 annual Report). 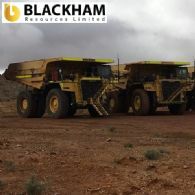 Blackham Resources Limited (ASX:BLK) is pleased to announce it has signed a Deed of assignment with Apex Minerals NL (ASX:AXM) under which it confirms Kimba Resources Pty Ltd&apos;s (Kimba) rights to all the minerals covering the Mining Lease M53/797 which includes the Williamson Gold Mine. Blackham recently signed an agreement to acquire 100% of Kimba. In addition the Deed confers Blackham&apos;s right to the use of Apex&apos;s camp and facilities to the extent they are not fully utilised by Apex. The deed also confirms Kimba&apos;s rights to explore and mine nickel and uranium on Apex&apos;s tenure and Apex&apos;s right to explore and mine calcrete on part of Kimba&apos;s tenure. As part of the Deed, Blackham will also receive all the mining information relating to the Williamson Gold tenement in Apex&apos;s possession. Blackham Resources Limited (ASX:BLK) is pleased to announce that as part of its acquisition of Kimba Resources Pty Ltd (under the Agreement announced on the 21st September 20011) it has also secured additional exploration and mining rights to gold, nickel and all other non-uranium minerals rights in the Lakeway area located in the North Eastern Goldfields region of Western Australia. 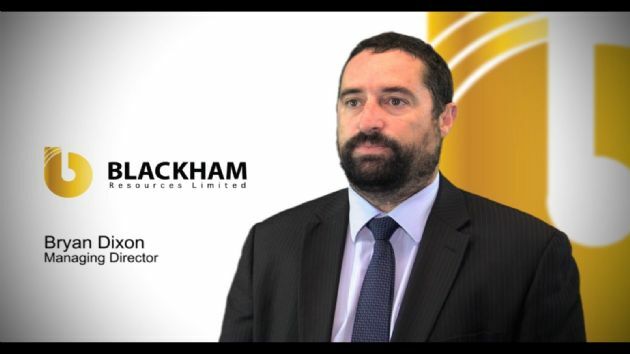 Blackham Resources Limited (ASX:BLK) is delighted to appoint Mr Greg Miles to the position of Executive Director, specifically to provide technical expertise in gold exploration and development. This appointment follows Blackham&apos;s recent announcement to acquire 100% of the Matilda and Williamson Gold Mines and the Regents, Carol Prior, Galaxy Gold Deposits in the Wiluna gold belt of Western Australia (Project). Blackham Resources Limited (ASX:BLK) is pleased to announce that it has elected under the Heads of Agreement announced on the 21st September 20011, to formally proceed with 100% acquisition of the Matilda and Williamson Gold Mines and the Regents, Carol Prior, Galaxy Gold Deposits in the Wiluna gold belt of Western Australia (Project). The due diligence over the project supports the decision to acquire the Project. Blackham Resources Limited (ASX:BLK) is pleased to announce it has elected under the Heads of Agreement to formally acquire 100% acquisition the Matilda and Williamson Gold Mines and the Regents, Carol Prior, Galaxy Gold Deposits in the Wiluna gold belt of Western Australia (Project). 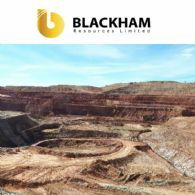 Blackham Resources Ltd (ASX:BLK) pleased to announce it is making good progress on its due diligence for the 100% acquisition the Matilda and Williamson Gold Mines and the Regents, Carol Prior, Galaxy Gold Deposits in the Wiluna gold belt of Western Australia (Project) is progressing well. 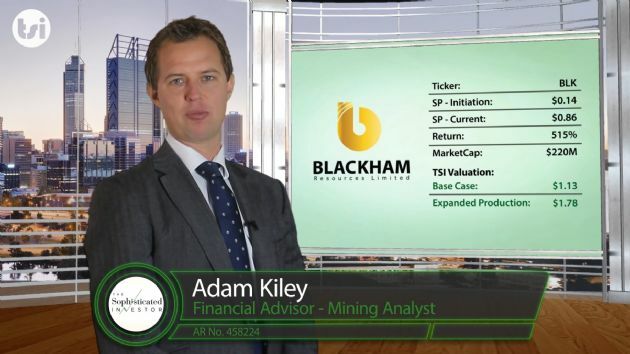 Australian resource company, Blackham Resources Limited (ASX:BLK) is pleased to announce the results of its CTL Preliminary Process Study (PPS). The production yields confirm the results of the scoping study previously reported. The PPS report was prepared by a consultant after confirming mass energy balances and yields with the technology suppliers. Blackham Resources Limited (ASX:BLK) has received encouraging results from preliminary coal upgrading test work on lignite samples from its Scaddan coal project in Western Australia. Licensable drying technology was used to produce the upgrade coal from the samples. Blackham Resources Limited (ASX:BLK) has received an unsolicited offer for its interest in the Scaddan Coal Project, in Western Australia. The Interested Party has made an offer to acquire Blackham&apos;s 70% legal and beneficial interest in the Scaddan Energy Joint Venture (Scaddan Coal Project) and related assets. Blackham Resources Limited (ASX:BLK) is pleased to announce it has executed a heads of agreement to acquire 100% of the Wiluna South and Williamson Gold Mines and the Regents, Carol Prior, Galaxy Gold Deposits in the Wiluna gold belt of Western Australia. The 500km2 landholding surrounds the operating Wiluna Gold Mine owned by Apex Minerals NL (ASX:AXM). This region has produced over 4 million ounces of gold. The current Wiluna Gold Mine resource is 12.7 Mt at 5.4g/t gold. Australian energy company, Blackham Resources Limited (Blackham) (ASX:BLK) continues to advance the development of the Scaddan and Zanthus Coal to Liquids projects. Blackham Resources Limited (ASX:BLK) has received positive drill results from the Company&apos;s confirmation drilling programme at the 100% owned Zanthus project near Balladonia, Western Australia. The air core program was aimed at confirming the coal seam quality in the existing resource area. The drilling results all confirm that the coalfield extends over 10km in length. Australian energy company, Blackham Resources Limited (ASX:BLK) is pleased to announce a significant increase in the coal resource at its Scaddan Energy Project in Western Australia. Scaddan and Zanthus combined resources now contains over 10,000 petajoules of energy and has the potential to produce approximately 860 million barrels of oil equivalent, consisting mainly of a clean diesel product.